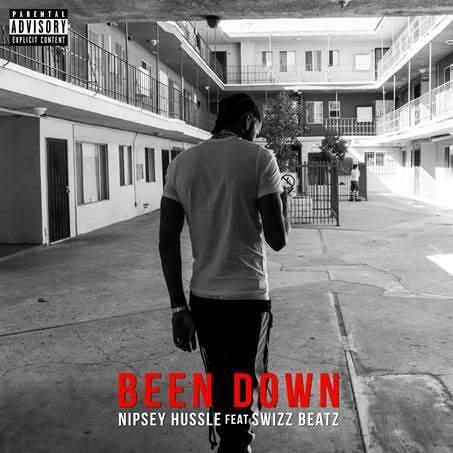 Home>New Songs>Nipsey Hussle Songs> Nipsey Hussle & Swizz Beatz Join Forces On New Song "Been Down"
Last month, Nipsey Hussle announced that his All Money In label partnered up with Atlantic Records to finally put out his long awaited debut album Victory Lap. Dropping February 16th, Victory Lap will contain 16 tracks in total and be lead by the single "Rap Niggas," which surfaced a couple weeks ago along with the pre-order link. “7 years ago Today THE MARATHON was released. It’s been a long time coming but we did it OUR WAY. Me and @therealswizzz Made a song about the Process...and it drops 2marrow On all platforms,” he said last night. Cardi B Recruits 21 Savage For Her New Single "Bartier Cardi"
Machine Gun Kelly Shares New Song & Video "Habits"
SONGS Nipsey Hussle & Swizz Beatz Join Forces On New Song "Been Down"